Dupont Highway (US 13, just south of I-495), Wilmington, Del. Opened as the Brandywine Drive-In; renamed the Ellis in 1955 after Philadelphia-based Ellis Theatres assumed operation. Click here for an interactive 1954 aerial photo of the drive-in (zoom in or out, or compare to older or newer photos of the same site). The old Wilmington Speedway is to the south. 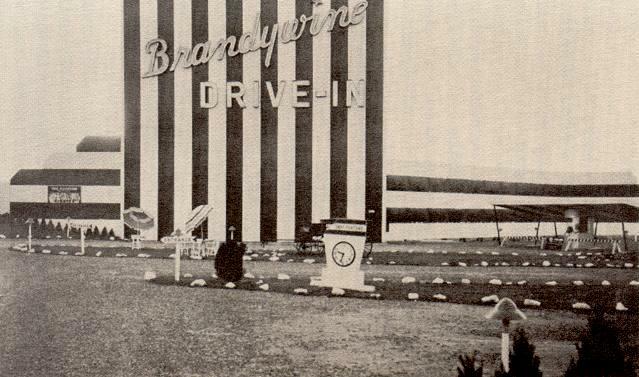 A look ahead to the 1970 photo shows the addition of several new rows onto the north half of the drive-in.